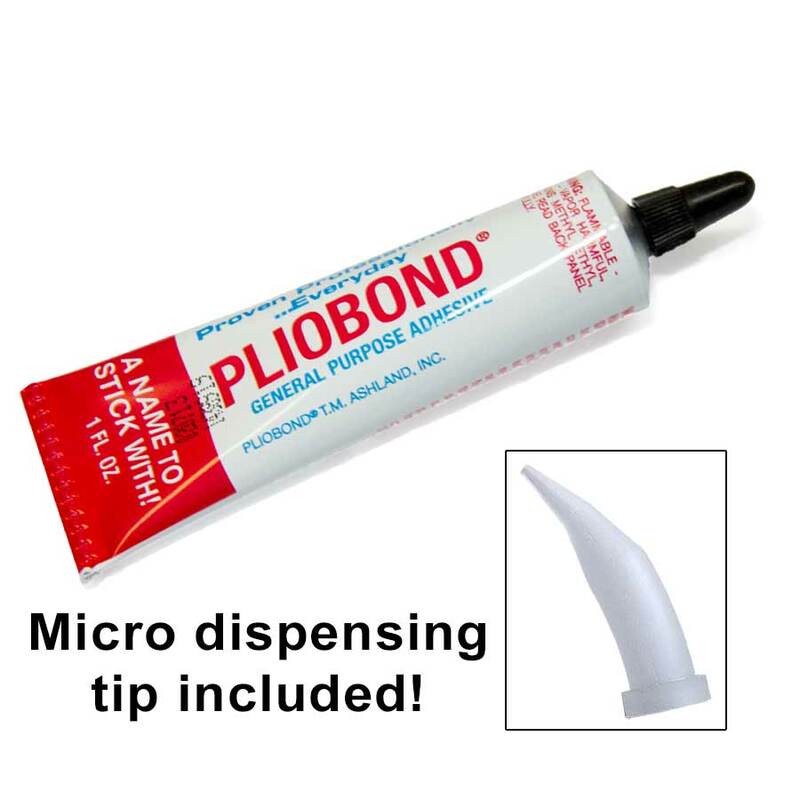 Pliobond® contact cement is ideally suited for fastening QuickSticks wood ties to Fast Tracks constructed trackwork and for building turnouts with Fast Tracks TwistTies. 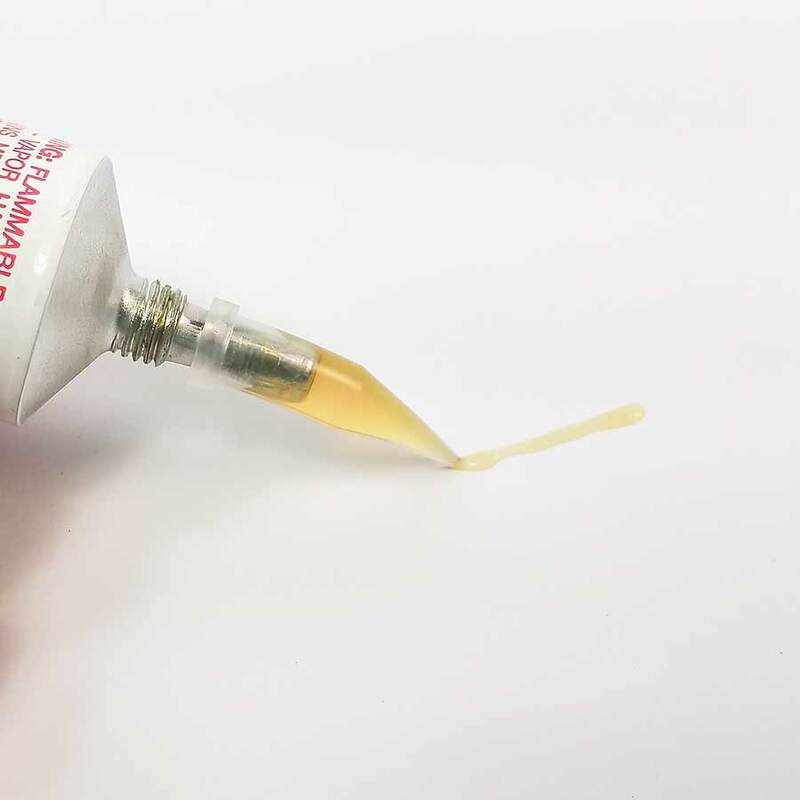 Specifically designed for bonding steel, wood, rubber, leather, canvas, aluminum, fiberglass and glass, this adhesive actually gets stronger as it ages and is highly resistant to vibration and expansion/contraction. 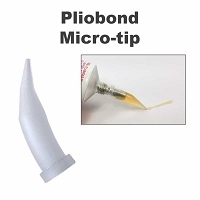 Each tube includes a complimentary micro dispensing tip that is ideally suited for applying the very thin beads of glue needed to glue rail to QuickSticks or TwistTies. 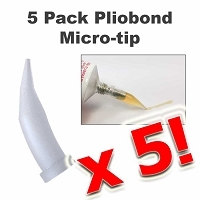 You can order additional tips here. Use lacquer thinner for cleanup. 1 fl. oz. tube. 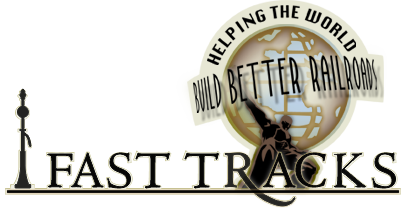 I've used many of Fast Tracks products, and not found a clunker in the bunch. All very well designed, and extremely useful. In building my layout, the thing I most dreaded was building turnouts/switches; to my surprise, it's now my most enjoyable and satisfying activity in creating my dream layout (who'd a thought !). Thank you Fast Tracks ! This Pliobond works really well on Fast Tracks' wood ties. I've started using this adhesive for everything that it can be used for since I have building turnouts. Just use as directed and it works excellent. Used this stuff for years. I don't depend on it for long term holding. Just enough to keep it in place while I spike the track down. I only apply it to the track and let it dry. Put it in place and apply heat and it isn't going anywhere while being spiked. Works great. Cure time is critical. 3 days seems to work for me. A very good adhesive, smells a bit but does a good job. The tip to heat the join with the soldering iron was very helpful.